The United States Holocaust Memorial Museum honors individuals around the globe each year who have shown a commitment to Holocaust remembrance and education. The museum turned 25 last year, and chose to give its highest honor - the Elie Wiesel Award - to all Holocaust survivors from around the globe. On behalf of survivors living in South Florida, Rita Hilton, 92, accepted the Elie Wiesel Award Tuesday night at the regional fundraising dinner Never Again: What You Do Matters. Former prisoners of Auschwitz gathered at the former Nazi concentration camp on the 74th anniversary of its liberation by Soviet forces. In the site that once housed the largest Nazi death camp, a group of survivors, politicians and foreign dignitaries marked International Holocaust Remembrance Day in a ceremony Sunday. 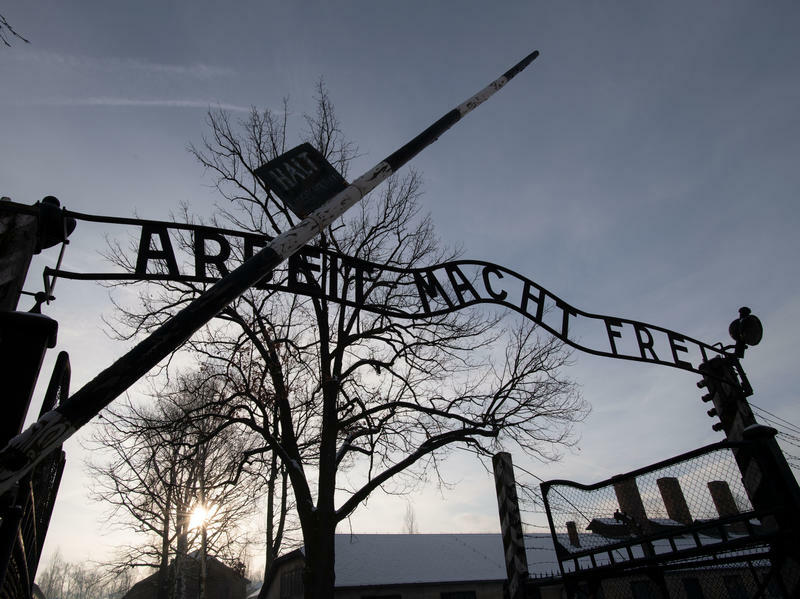 "Auschwitz has shown what can happen when the worst qualities in people come to bear," said Armin Laschet, premier of the German state of North Rhine-Westphalia. More than 800 high schoolers filled a ballroom in the Broward County Convention Center Wednesday morning to hear from Holocaust survivors. The survivors gave advice to students about how to overcome forms of intolerance and anti-semitism that are on the rise in the U.S., such as bullying, bigotry and shootings. They spoke about the October shooting at the Tree of Life Synagogue in Pittsburgh. The entire crowd inside the Holocaust Documentation & Education Center on Sunday joined in singing the national anthem of Israel. It was the opening of the exhibit: Operation Finale: The Capture and Trial of Adolf Eichmann. The Nazi official orchestrated much of the Holocaust. He was hanged in Israel in 1962. More than 500 people came to see the exhibit, which features original documents from when Eichmann was captured in Argentina, and artifacts from his trial.